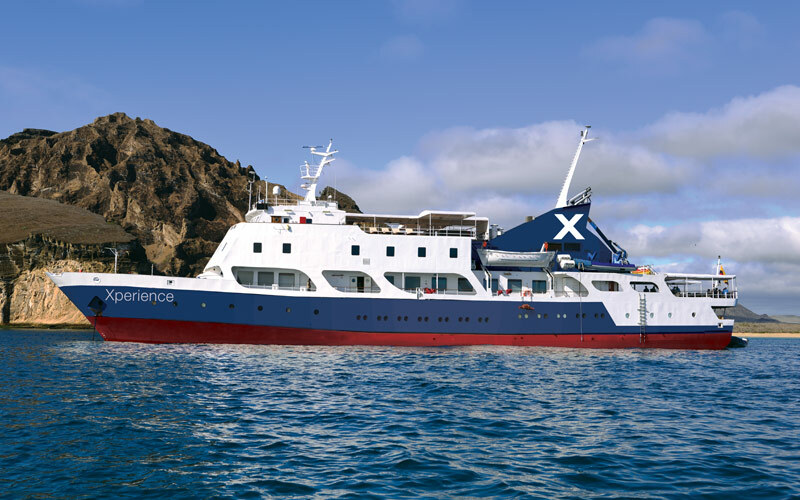 Celebrity Xperience, a mid-sized, 48-passenger cruise ship features itineraries with exciting combinations of pre- and post-cruise land experiences in the Galapagos Islands. 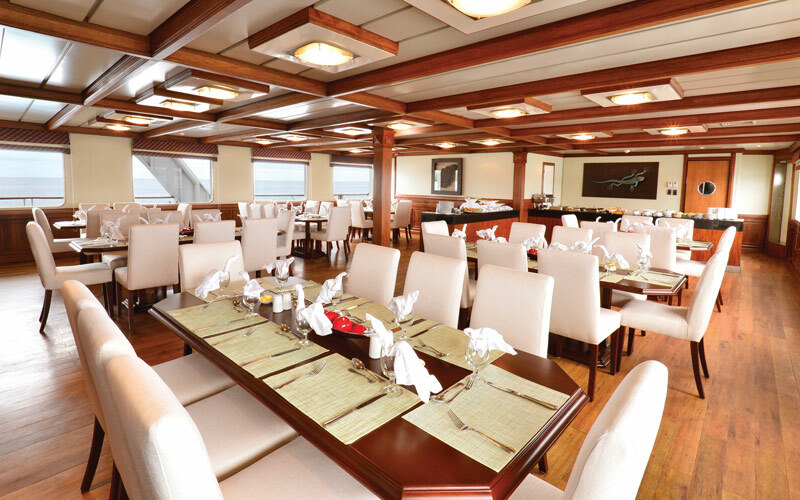 With 24 stylish staterooms, indoor and outdoor dining areas, two bars, a library, and a sun deck Jacuzzi, Celebrity Xperience justifies being in a class of her own. 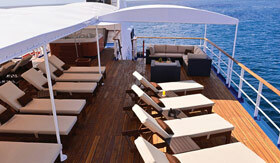 She was designed not just for travel, but complete exploration of the immaculate archipelago of the island. 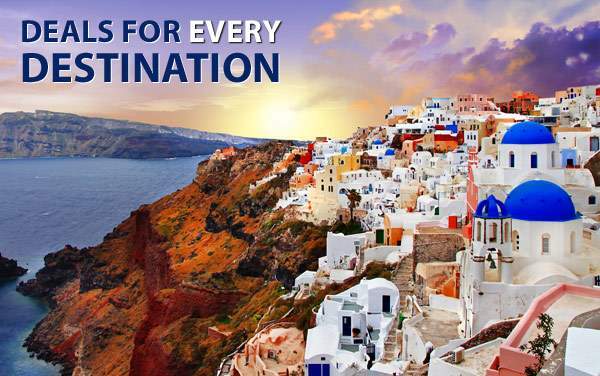 It’s great to know that this beautiful island inspired Darwin’s theory of evolution. 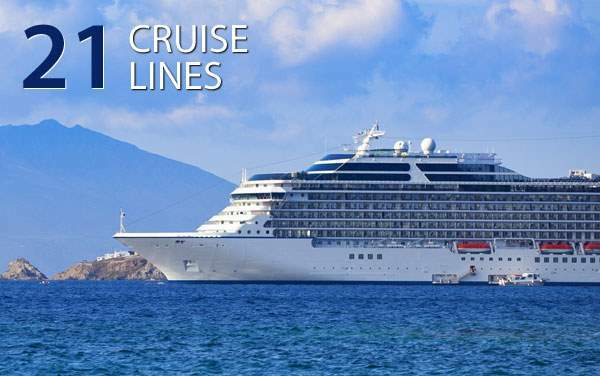 The cruise experience is truly all-inclusive with a choice of 7-night, 10-night, or 13-night sailings. 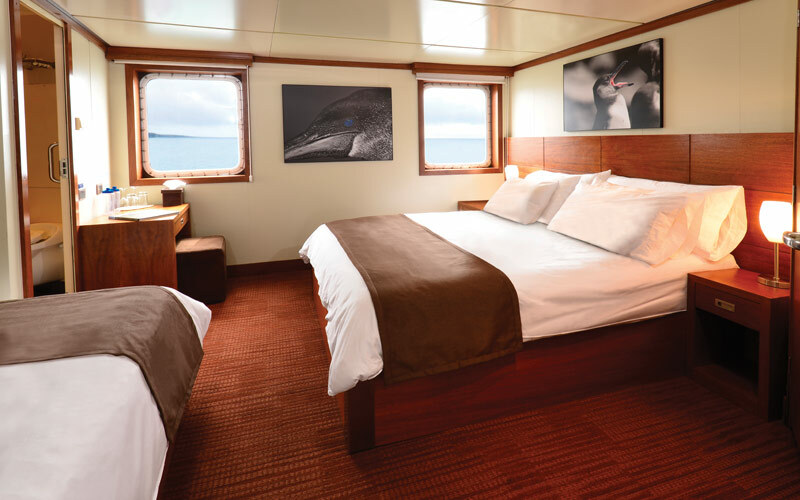 While exploring one of the world's last pristine environments aboard Celebrity Xperience, be sure to immerse yourself in the modern luxury of the Elite Ocean View, Deluxe Ocean View and Premium Ocean View accommodations. 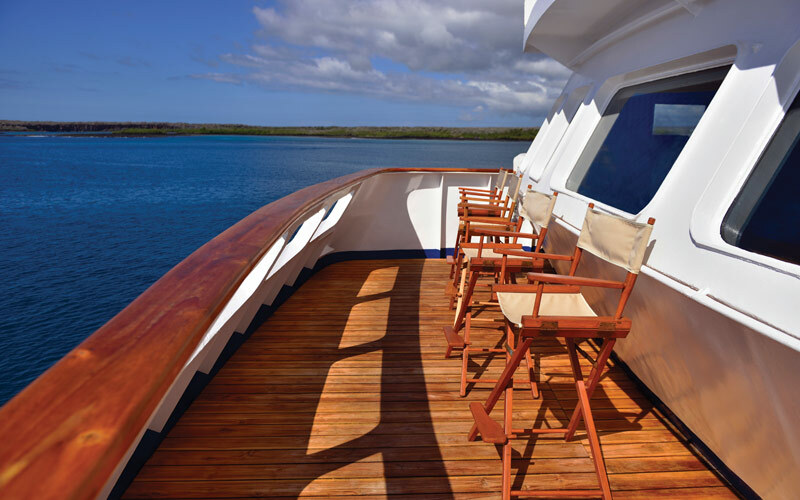 All gears needed for excursions such as wetsuits, binoculars and snorkeling equipment will be provided. 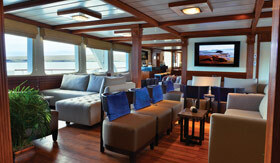 So pack light and come ready to embark on a smooth-sailing adventure aboard the stunning Celebrity Xperience. 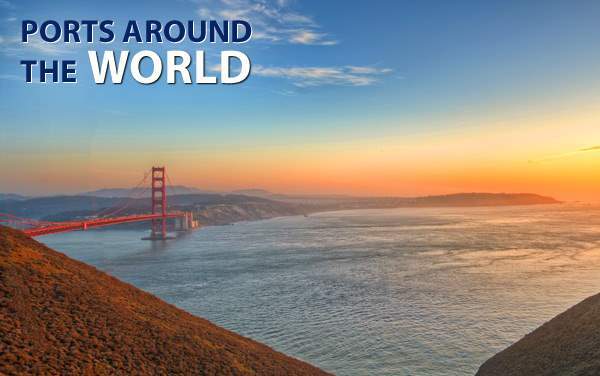 Give us a call today on 1-800-377-9383 for more information on cruise itinerary and sailing dates. 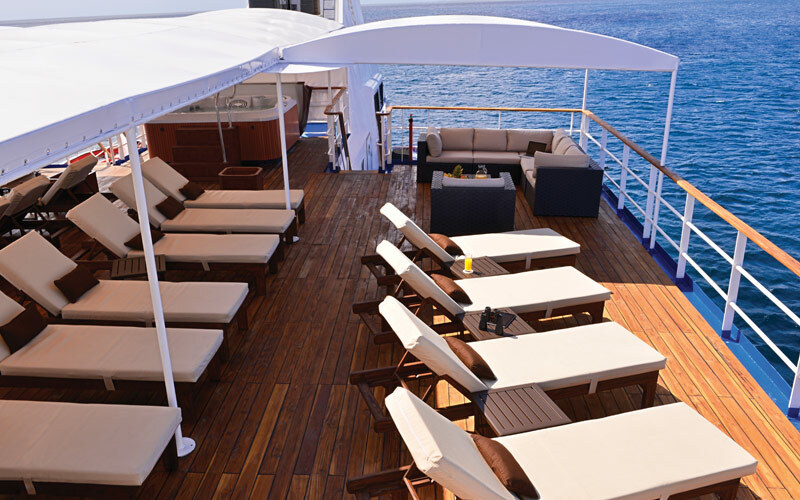 Make it a point to rejuvenate on the Sun Deck while taking in spectacular views of the ocean on a comfy lounge chairs, in a hot tub or under the shady canopy. Don’t miss the delectable continental breakfast for early risers in Al Fresco restaurant. 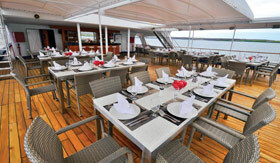 You can also enjoy lunch in its open air shade and dinner under the twinkling stars right from the restaurant. 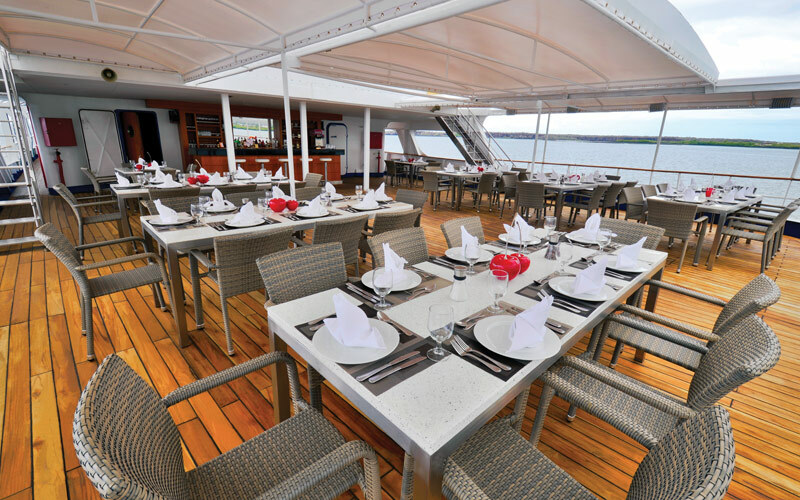 Located on the Weather Deck, the lounge bar is a great place to socialize, get daily briefings, watch movies and stay entertained. 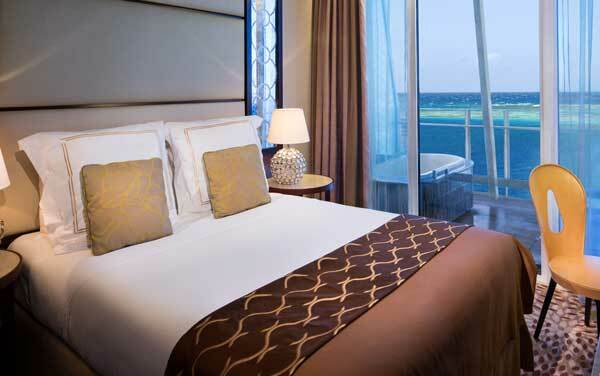 It’s beautifully set up to provide a relaxing atmosphere for every guest.